As I had previously mentioned a few weeks ago, we were in Ireland at the tail end of April, so it was still a bit chilly (definitely had to keep a sweater handy) but that also meant the hoardes of tour buses had yet to infiltrate the country. (We saw THREE buses the entire Ring of Kerry. We probably would've seen 300 had we been there in July!) That fact resonates in this picture... 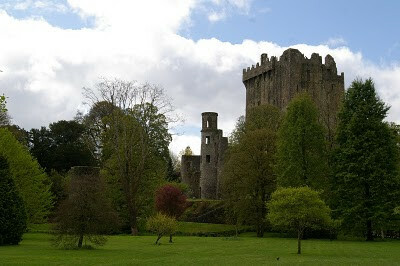 I have a photo of the Blarney Castle, one of the most visited places in the whole of the country, WITH NO PEOPLE IN IT! This photo makes me so happy that it's the background on my home computer. Not much can top a peaceful, beautiful day in the Irish country side. Especially when you have it practically to yourselves.